Available Material: Metal, Stainless Steel, etc. We are Providing a Promotional Standee for Promotion and Branding. Roller banners are probably the best and most popular form of exhibition advertising. 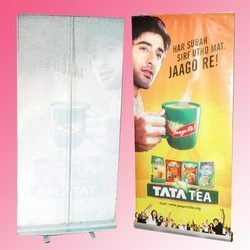 Roller banners are also known as roller banner stands, pull up banners.